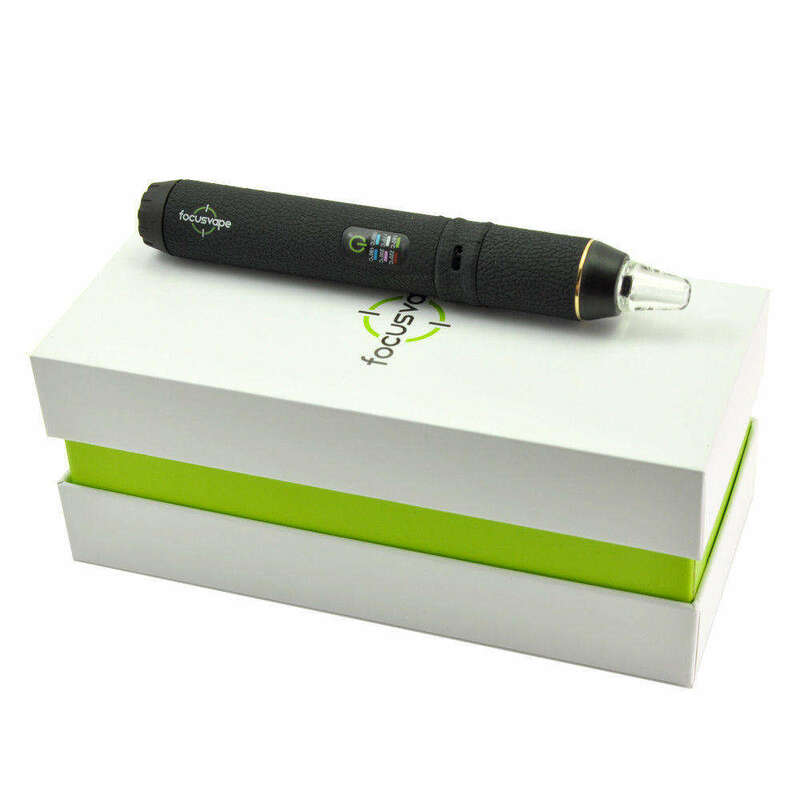 The FocusVape is one of the best pen type vaporizers available at this price. Though compact, it is extremely advanced, technologically speaking, and has many features that even some much more expensive vapes do not offer. It heats quickly (less than 30 seconds) and has 6 preset temperatures at 10°C intervals, which are very easy to scroll through. Its powerful 2600mAh 18650 battery is removable (so you can carry spares) and the device will vibrate to inform you when the desired temperature has been reached. The battery can be charged while inside the device, via a micro USB port, or the battery can be removed and charged in a separate charger (not included), allowing you to swap to a fresh battery while it charges. The FocusVape has a deep inert ceramic chamber, which holds plenty of material (dry herbs only, it cannot be used with oils, waxes or concentrates). It also has a borosilicate glass mouthpiece; the combination of this and the ceramic chamber keeps the vapour cool and the flavour pure, as the vapour path is kept safely away from possible tainting by electrical or metallic parts. There is even a spare glass mouthpiece included! There is also an adjustable airflow regulator, allowing further control over the vapour density and flavour. Get it exactly to your taste! The FocusVape is solidly constructed from metal and encased in silica for a real quality feel, while also protecting from bumps and scrapes. If you like vaping while out and about, this device is perfect in every way! This starter pack contains everything you need to be up and vaping straight away.